We’re not trying to step on the tiny plastic toes of Lego Marty McFly and the rest of the official Lego Back to the Future toys, but a new challanger has arrived to take over the BTTF collectible throne. (Which, in this case, is just the driver’s seat of a DeLorean ripped out of the car and put on top of a nightstand.) 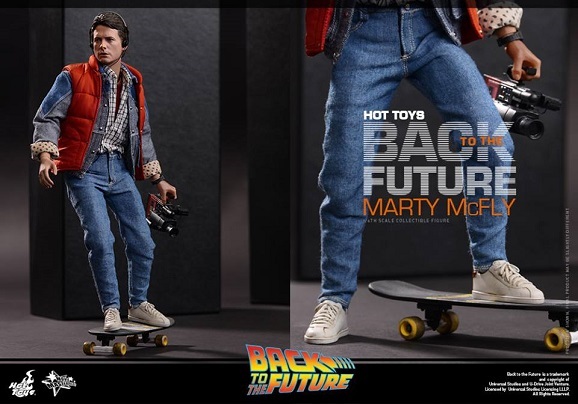 Heading into neither the past nor the future, Hot Toys has stayed in the present and revealed their impeccable new 1/6-scale Marty McFly action figure. It’s so realistic, if you look at it while squinting, you might even think it’s breathing. 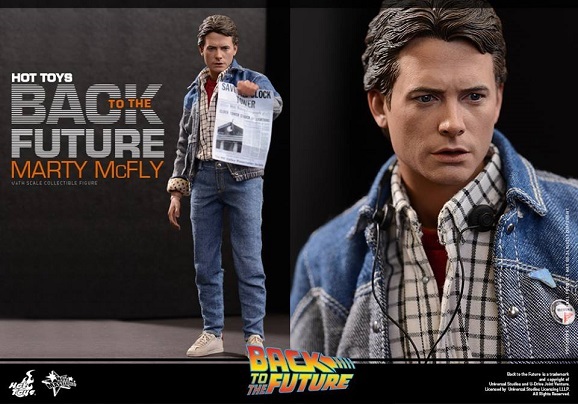 You can bet that Back to the Future fans the world over will be celebrating the film’s 30th anniversary next year, and what better way to do it than with a toy that looks almost too much like Michael J. Fox. As the Hot Toys Facebook page puts it, the figure was “specially crafted based on the image of Michael J. 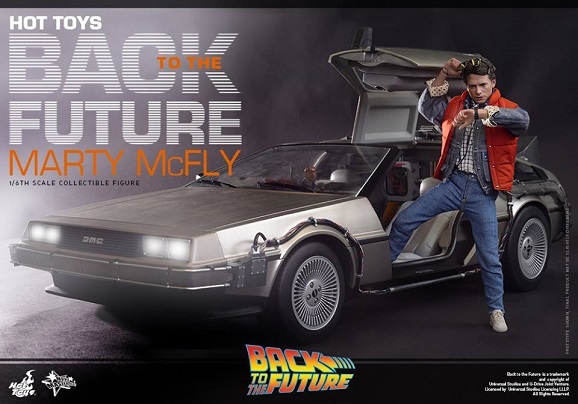 Fox as Marty McFly in the movie, featuring the newly-developed head sculpt, highly detailed costume and a number of accessories.” I mean, even the wrinkles on his pants are spectacular. And if your toy’s pants are top quality, you just know the rest of it is going to be good. As such, let’s take a look at some more angles of Marty’s concerned face, along with looking at some of those sweet accessories. It’s too bad there aren’t any details about points of articulation, since it looks like the figure can be maneuvered into all kinds of positions. I’m going to be disturbed and disappointed if that skateboard doesn’t roll. Maybe that’s when he becomes Back to the Future II Marty, complete with a popsicle stick hoverboard. 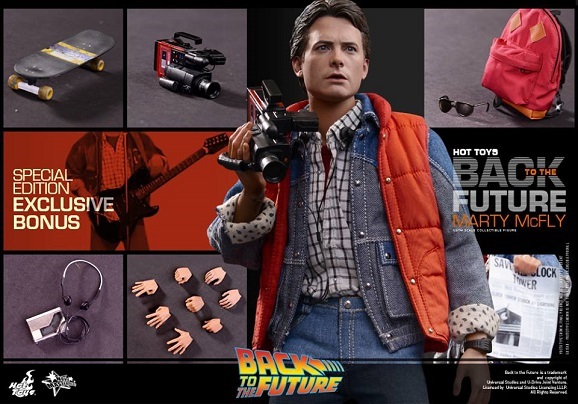 As you can see in the image below, Marty comes with the skateboard, newspaper, video camera, headphones and Walkman, sunglasses, backpack, and a bunch of different hands made to work with his goodies. Plus, if you pre-order here, I’m pretty sure there’s a deal where you get Marty’s guitar as a bonus gift. Johnny can B Goode all over the place with that. Apparently the DeLorean seen in the top image isn’t a part of the deal, but you probably have lots of tiny DeLoreans around your house, right? Hot Toys also has Transformers, Iron Man, and Guardians of the Galaxy toys that look absolutely amazing. Can we start making our Christmas lists now?